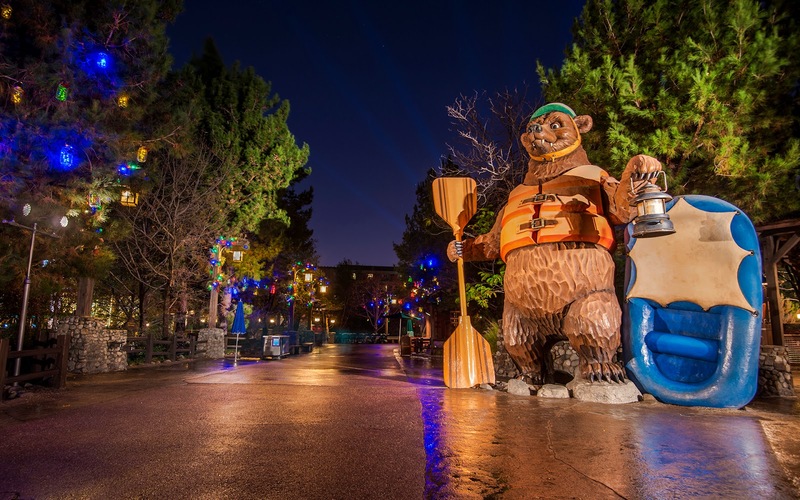 In past years, I've never really ventured into Grizzly Peak to photograph during the holidays, because the holiday decorations have been relatively sparse. 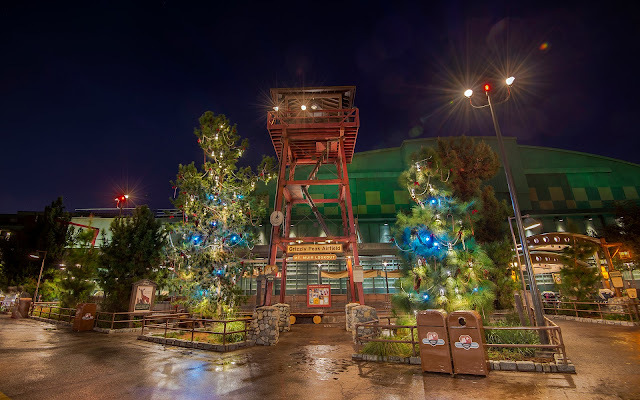 That has improved over recent years, and this year, with the conversion of Condor Flats into Grizzly Peak Airfield, the entire area has gotten a nice, cohesive look that looks romantically rustic and very lovely. Along with that has been an expanded Christmas decoration to the land. Though it is definitely more subtle and tasteful, there is some visible holiday cheer. Lets take a stroll through this part of DCA via some photos after last Friday's rain storm! With glistening pavement, the Grizzly Field Airfield welcomes visitors. The evergreens are done up in Christmas glow near the air field tower. 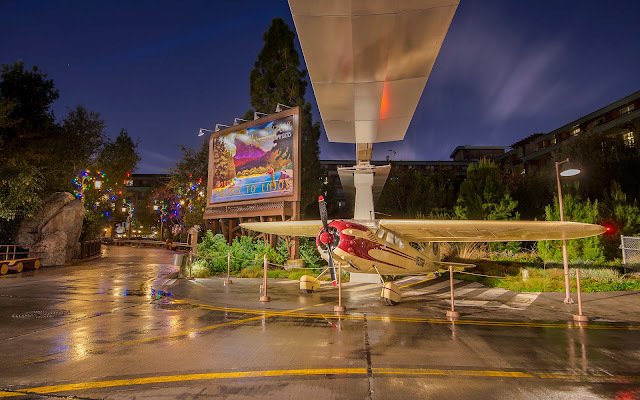 Holiday lights beckon from beyond the biplane photo op. 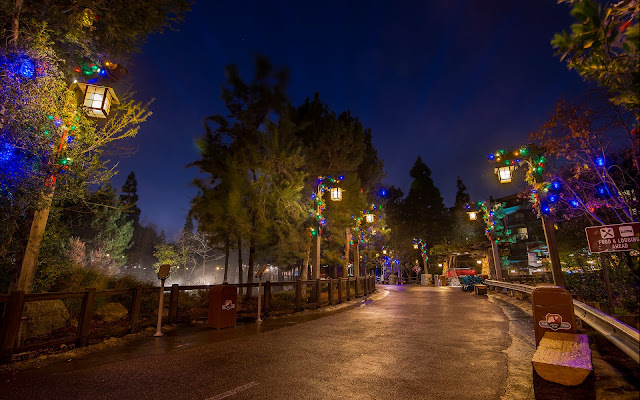 Venturing into Grizzly Peak proper, with colorfully wrapped lamps to guide the way. 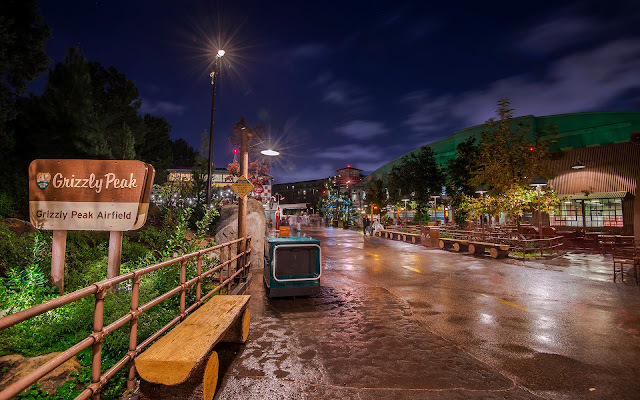 Looking back the other way from the entrance of Grizzly River Run.